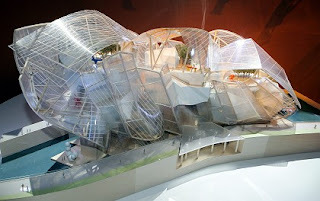 As of 2010, this museum will exhibit contemporary art from the archives of the luxurious Louis Vuitton Company. The glass structure, to be held together by a filigree mesh of steel trusses, is currently being embedded into Paris’s Bois de Boulogne park. You are currently browsing the archives for the Bois de Boulogne category.